Search Results for "flora in italy"
Path through the Mediterranean vegetation in Sardinia, Italy. Video clip of beautiful green area covered by rich vegetation at Castel Giuliano, Lazio, Italy. Young man walking through the trees at Cala Osalla beach, Sardinia, Italy. 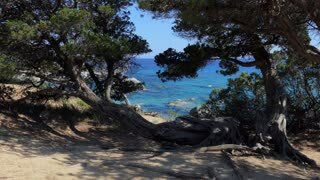 Mediterranean coast, with sandy beach and green vegetation. Concept of travel, tourism, holiday, exploration, trip, nature.